(C) Nic Lehoux – McGilvra Place is on the left side of the photo. 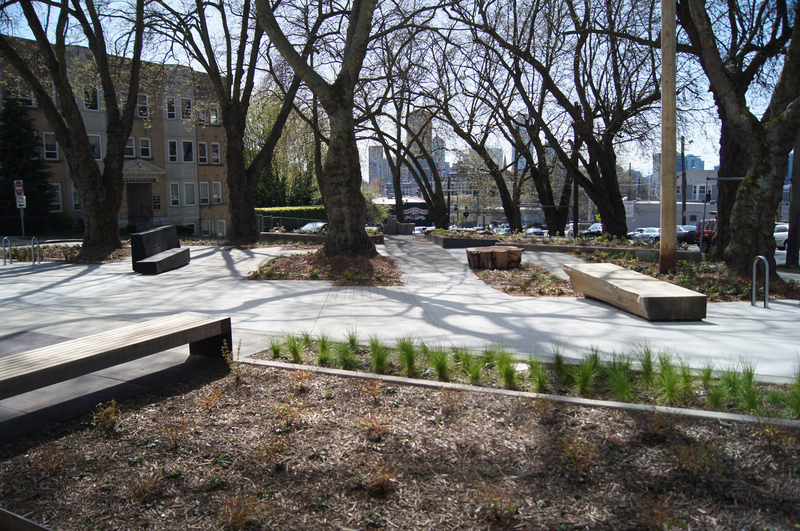 McGilvra Place Park is a .5 acre public space on the edge of Seattle’s Central District adjacent to the Bullitt Center. It also has the distinction of being the first project to pursue the Living Building Challenge for the Infrastructure + Landscape Typology. Once a forgotten traffic median on a major city arterial, the project is now an activated and enlivened pocket park in an area that specifically calls for more green space in its neighborhood plans. During the redevelopment of McGilvra Place, great care was taken to protect and celebrate eleven century-old London Plane trees on the site. 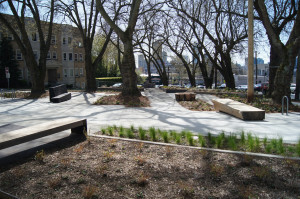 Other improvements include transforming an adjacent street to a public plaza, replacing turf with native vegetation, installing park furniture made of reclaimed timber, and providing improved accessibility to the site. Construction began in February 2013 and was completed in April 2013. 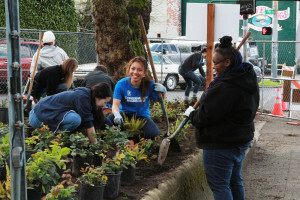 The project was undertaken through a public / private collaboration between Seattle Department of Parks and Recreation, Seattle Department of Transportation, Seattle Parks Foundation and the Bullitt Foundation. In conjunction with the development of the Bullitt Center, a neighborhood group was formed to submit an application to the Seattle Parks and Green Spaces Levy Opportunity Fund. Due in large part to the innovative sustainability objectives of the project, it was awarded funding in late 2010. The Bullitt Foundation and the Seattle Parks Foundation led a capital campaign to collect the remaining funds needed to transform this deltoid-shaped urban traffic median into a community park. 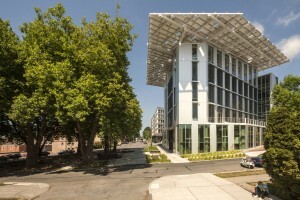 The Berger Partnership worked with Seattle Department of Parks and Recreation on the project design, with Springline Design providing civil engineering services. WS Contractors completed the work. Creates a new neighborhood gathering space as recommended by neighborhood plans. Improves safety for pedestrians and bicyclists by eliminating motor vehicle access on 15th Avenue between East Madison and East Pike Streets. Includes benches, a pedestrian plaza and a ping pong table to activate the site. Serves as a new model for public-private partnership for management, without increasing public-sector operating costs. Developed in partnership with neighbors, the City of Seattle and the Seattle Parks Foundation.